A proud part of the PayPal family. Whether you pay earnings, commissions, or royalties, we'll help you scale to pay the planet. Our frictionless payment technology supports mass payouts across the globe, giving you immediate access to new markets and new opportunities. Our multi-functional platform streamlines every aspect of your payout process, from onboarding to funds disbursement. Whether you're looking for a remittance program or to enable stored value using virtual accounts, Hyperwallet has a payout solution for you. Get fully integrated using APIs, or start sending payouts faster with a development-free option. Tackle your global expansion plans with help from the 2019 Marketplace Expansion Index. Review 130+ pages of in-depth analysis and research today. Are Bad Payouts Preventing Clinical Trial Market Growth? Despite an optimistic outlook for future industry growth, clinical trials are being hampered by an outdated approach to payments. Payment acceptance, P2P mobile payments, outbound payments—here are three trends impacting every element of the payments industry. 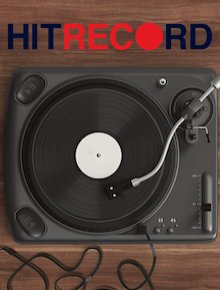 Rethink royalty payments and experience the Hyperwallet payout platform firsthand at Music Biz 2019, happening May 5-8th in Nashville, Tennessee. Whether you're a business that wants to send payments internationally or a payee with a question, you can select an option on the right and we'll put you in touch with someone who can help. Trouble receiving payments or accessing your account? Need to send payments globally? Looking for help with our APIs? Vancouver, B.C. – Hyperwallet Systems Inc. (“Hyperwallet”), a leading provider of global payment solutions, today announced the filing of a new provisional patent. The software program behind the patent permits a person to receive funds electronically without having to be a member of the system responsible for transferring the funds, or being a member of the same system as the person sending the funds. The provisional patent filing expands the company’s intellectual property portfolio and highlights hyperWALLET’s commitment to product development, service innovation and growth. Hyperwallet’s latest software product can help financial services companies and multi-nationals send money globally in a low-cost, low hassle manner, and in accordance with anti-money laundering and anti-terrorist financing best practices. The software is fully configurable for the end user via a set of communication protocols including e-mail, phone and SMS text messaging. 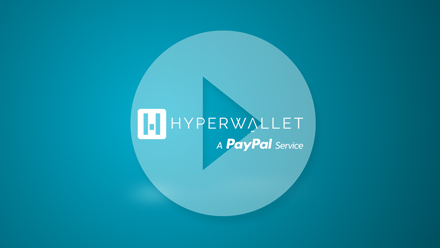 Like all of Hyperwallet’s products, the software behind this filing is made available through a traditional software license, and as a software product coupled with other services, including foreign exchange, treasury management and customer service provided through Hyperwallet’s in-house call centre. For more information about Hyperwallet’s global payment solutions, visit our Solutions page or call +1 (604) 482-0090. MetaBank® announces partnership with Hyperwallet Systems Inc.
Hyperwallet is regulated in various jurisdictions as follows: Hyperwallet Systems Inc., registered with the Financial Transactions and Reports Analysis Centre of Canada, no. M08905000, and the Quebec Autorité des Marchés Financiers (AMF), no. 901204, BC incorporated, with a registered office at Suite 2600, Three Bentall Centre, 595 Burrard Street, P.O. Box 49314, Vancouver, B.C. V7X 1L3; HSI USA Inc., registered with the US Financial Crimes Enforcement Network and licensed in various U.S. states as a money transmitter, Nationwide Multistate Licensing System & Registry (NMLS) ID number: 1106555 (see Licenses and Complaints), incorporated in Utah, with a registered office at Building D, 7700 W Parmer Ln, Austin, TX 78729; Hyperwallet Systems Europe Limited, authorised by the Financial Conduct Authority to conduct electronic money service activities under the Electronic Money Regulations 2011, no. 900698, registered in England and Wales, no. 10215249, with a registered office at 247 Tottenham Court Rd., London, W1T 7QX; Hyperwallet Systems Australia Pty Ltd, ABN 38 616 937 716, registered with the Australian Securities and Investments Commission, Australian Financial Service Licence No. 499092, with a registered office at c/o MinterEllison, Governor Macquarie Tower, 1 Farrer Place, Sydney NSW 2000, Australia.